During the last few weeks I have been focusing on and walking in honor of my father. During this time, I enjoy thinking about his life and our relationship. Everyone has a story and I would like to share the story of my Dad. He was born in January 1925 in Findley, Ohio. When he was still a toddler, during the depression, his father lost his Stone Quarry business. As a result, in 1929 the family moved to central Florida to find a new start. When I am walking in honor of someone, I try to visualize things like, what was Florida like while he was growing up in the 1930’s. I also try to imagine what it was like living during the end of the depression and life during World War II. Throughout his days, a story he loved to share was a High School tale of when he and some friends hoisted a Model T automobile on the roof of Winter Haven High School. Unfortunately, his reward was being sent to Military School in Georgia. 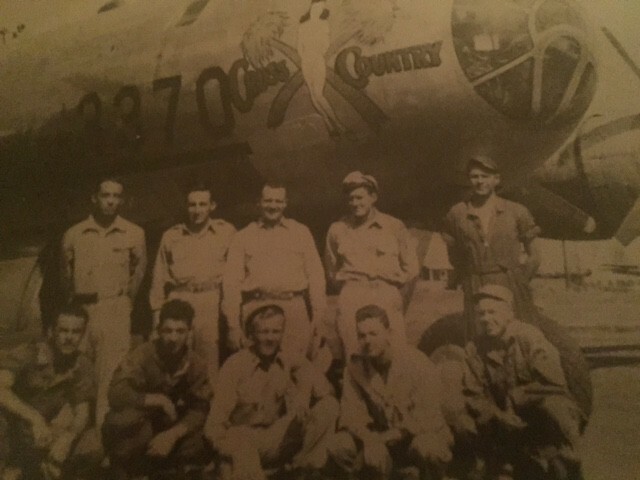 He served in the Air Force as the World War was winding down and Korea was heating up. Afterwards, he moved to Lakeland, Florida and settled down to raise a family. His entire career was spent in the Citrus business in Central Florida. Twice he tried owning and cultivating citrus groves but Mother Nature was not kind to him. In 1962 freezing temperatures arrived in Florida on December 12-13, creating the third impact freeze in the state of Florida. It was considered an impact freeze because it caused the most damage to trees and fruit of any other 20th century freeze to date. From this he lost his job and his investment. I vaguely remember food being tight for a period of time but I must admit, I never heard him complain or feel sorry for himself. This same scenario happened to him in the 1980’s. From seeing this, I vowed to never go into agriculture. When I was young, it seemed to me my only brother Todd was the golden child because he was going to be a doctor. As a result I perfected the role of the black sheep. In spite of this, both my Dad and Mother were unwavering in their unconditional love to me. When I started to wander (to put it mildly) during and after high School, they both kept encouraging me that I could be whatever I wanted. I just needed to attend college. I was hardheaded, but after times of working as a steel worker (sometimes 10 stories high), I was convinced there had to be a better way. Looking back, without his guidance there is no telling what path I may have followed, but it probably would not have been very good and it would not have given me the opportunities in life I have had. While we certainly had our differences during my early years, as time rolled on my father and I became fast friends. He was happily married for 40+ years to my mother until she died of cancer at the age of 63 in 1988. Several years later he remarried my bonus Mom Dottie and they had a wonderful life together. 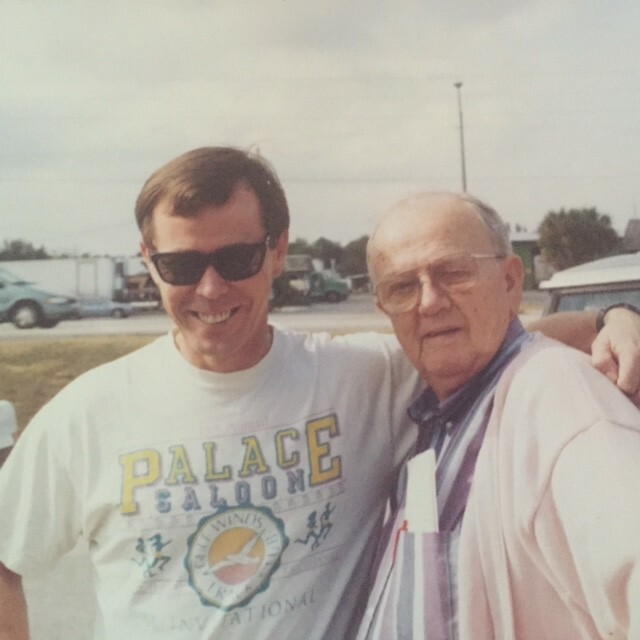 My Dad, Fred W Patterson, passed away at the age of 84 in April of 2009. I still miss him every day and think back on our life together and the daily conversations we had during the last years of his life. Everyone has a story and this is my short story of my Dad. This month, I walked in honor of my Dad. 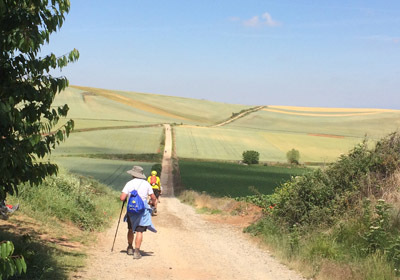 Last year, Morgan and I stated walking in honor of relatives and friends while walking the Camino in Spain. What we found, is that when we walk in honor of someone, it connects us and brings us even closer to that person. This is very rewarding. I would have never learned this practice of walking in honor of someone, if I was not out walking. So grab a family member or a friend, or go solo. Go for a walk in honor of a friend or relative. The reward will be yours. This entry was posted in Spiritual, Stories Along the Way, Walking and tagged Fred Patterson, Gregg Patterson, Walking. Bookmark the permalink.